Butternut squash is one of my favourite vegetables throughout Winter. It's wonderfully seasonal, filling, nutritious and of course delicious. I love the rich, almost sweet taste it has that is brought out so much when you roast it with only a little salt & pepper. The taste goes absolutely perfectly with this dish as the tanginess from the lemon compliments the sweetness, the mustard is a welcome bit of spice and the pine nuts add a gorgeous crunch to the dish. 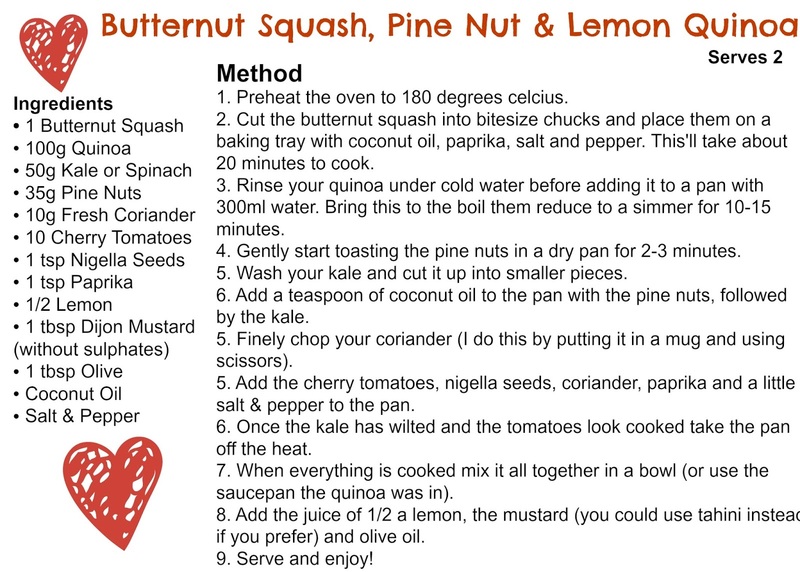 This recipe is not only quick, easy and mouth-wateringly tasty but it's packed full of nutritional goodness! 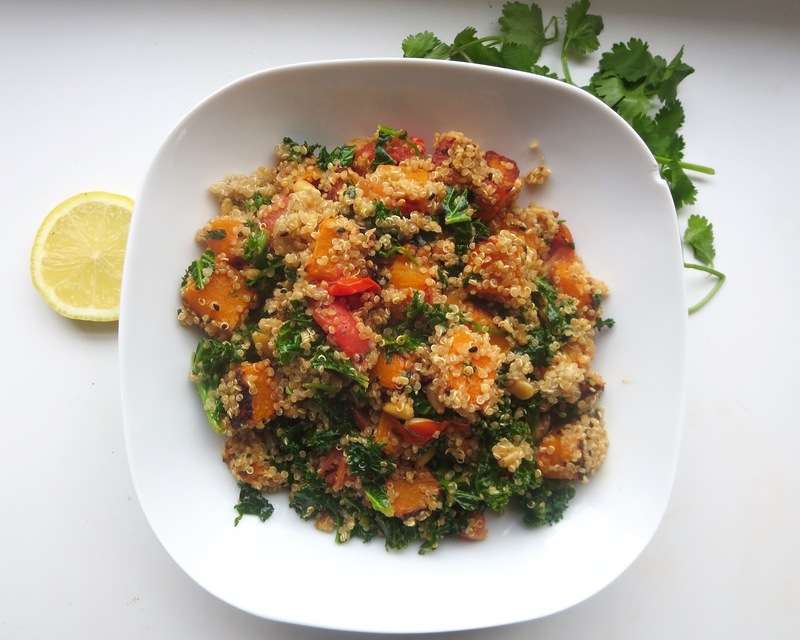 Butternut squash is bursting with antioxidants, fibre, vitamin C and beta-chorloride, the kale is an amazing source of iron, vitamin A and calcium, while the quinoa adds some good plant-based protein. So, not only will you be enjoying scrumptious food but you'll feel full, energised and glowing from the inside too! I've added a couple of substitution options in this recipe too - you can easily replace the kale with spinach if that's what you'd prefer, and the dijon mustard with tahini which would create a more creamy dish. It's all personal preference!